SKU: caret-plus-private-tour. 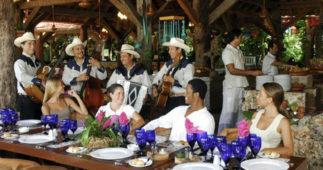 Categories: Private Tours Cancun - Itinerary Free Vacations, Affordable Eco Tours In Cancun. 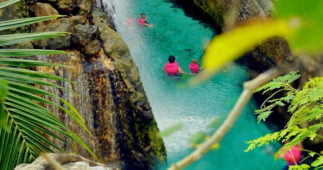 This is an amazing Natural Park that has been recognized world wide for its natural beauty and attractions. 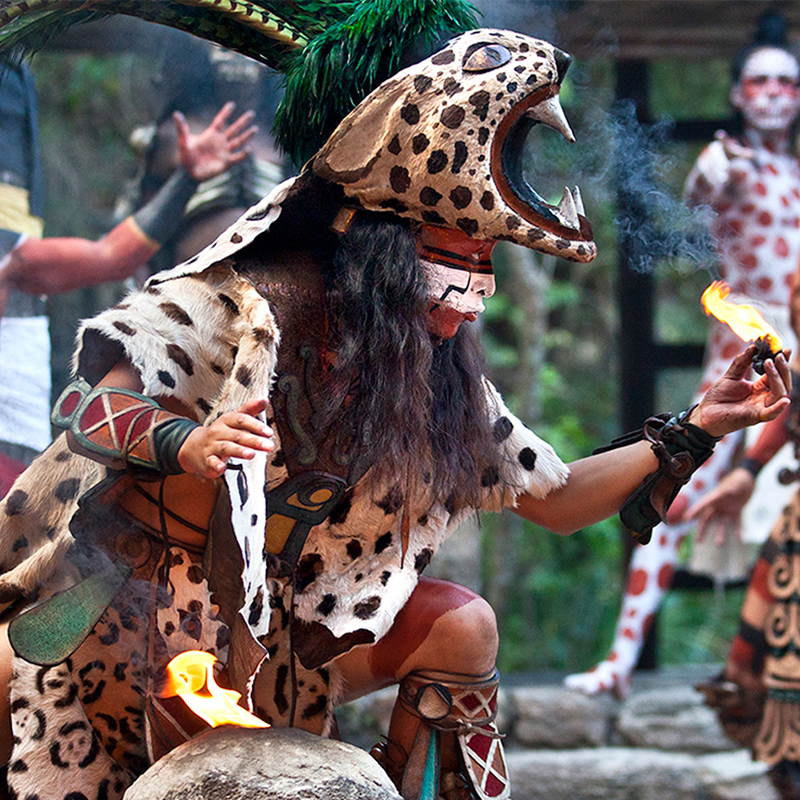 At Xcaret you and your family will appreciate the greatest of the Mexican Traditions, Culture and Folklore. 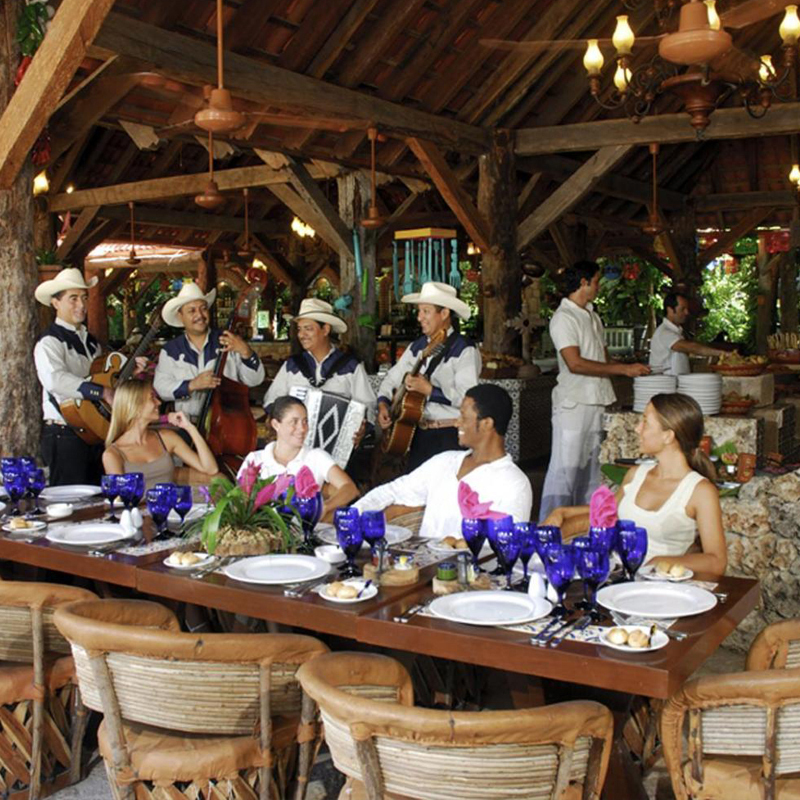 This incredible place is not only an ecological wonderland but is also surrounded by the some the most exotic wildlife. 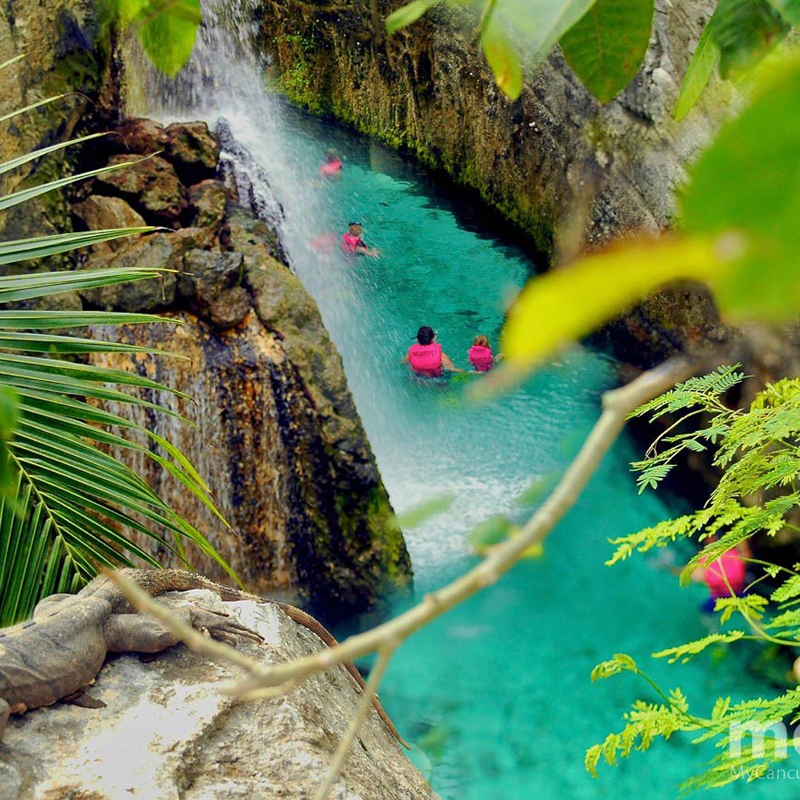 There is a large Butterfly Pavilion where you will find countless butterflies flying among the waterfalls, and vegetation. The Aztec people, a Mexican civilization from around the 15th century, believed that the fragile butterflies represented the souls of warriors fallen in battle. 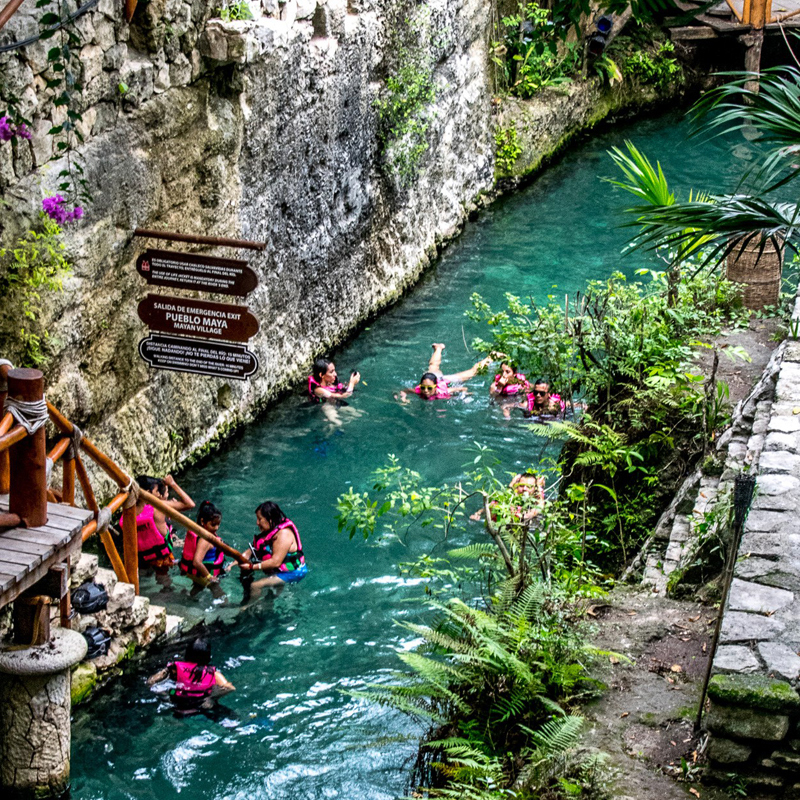 Your day at Xcaret will be filled with exploration and wonder. 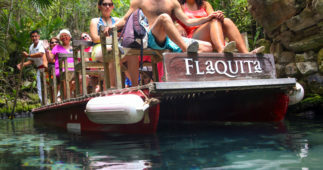 This adventure tour start with the the Pick up at your Hotel, depending where are you staying Cancun or the Riviera Maya. As this is going to be a private tour, we recommend you to start as early as possible in order to avoid crowds at the Park. Once you arrive at the park you will be welcomed by the staff who will help you with your check in and registration. They will give a short briefing about the area and the facilities. 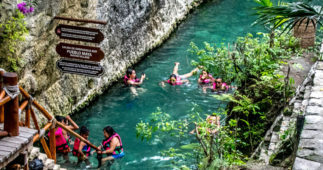 You also will find Maps all over the park that will help guide you to all the different attractions that Xcaret has to offer. 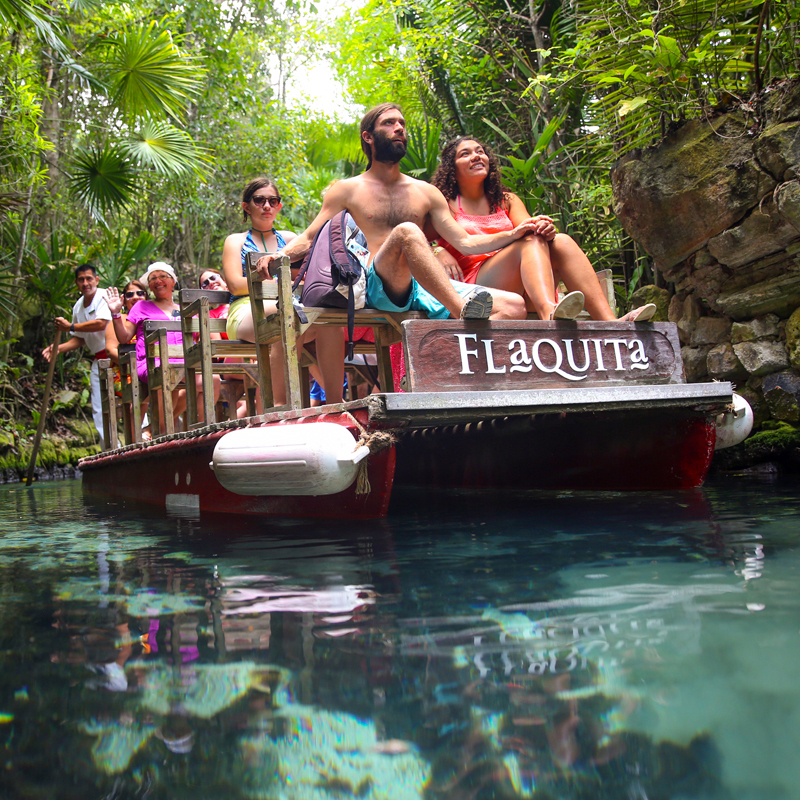 At Xcaret’s natural aquarium you will discover some real natural treasures of the Caribbean Sea. This unique place has successfully created over 500 coral reef structures within the exhibition tanks with a constant flow of sea water and plancton. 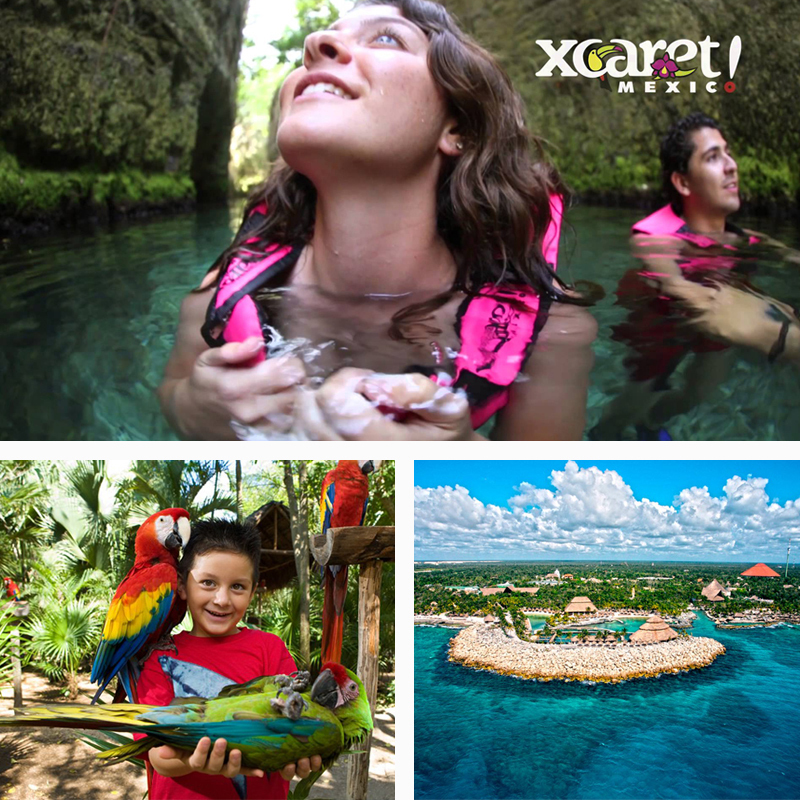 The Aviary at Xcaret is home to 44 species of tropical birds. The park has been successful at breeding various specimens such as the Scarlet Macaw and the Green Macaw, as well as the Yucatan Parrot, the Red Forehead Parrot, the Yellow-headed Parrot, the Pijiji Duck, the Toucan, the Aracari Toucan, the Pink Flamingo and others. 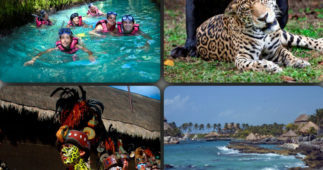 This Tour is a great option for kids and adults alike, and includes the spectacular Night Show for everybody. 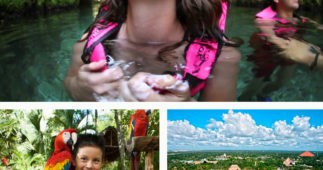 You will enjoy over 25 attractions, that is the reason we promise a day full of fun. Important information: Children from 0 to 4 years old can not occupy a seat in the Van.